The Russian Single Distances Championships took place over this past weekend in Kolomna, where new and old champions were crowned. On a weekend that saw numerous Personal Records, Season Bests as well as a world leading time in the 500m, Kolomna proved to be the perfect backdrop for a great weekend of racing at the Russian Single Distances Championships. Pavel Kulizhnkov was victorious in the 500m with his time of 34.64. This time ties this season’s world-leading time posted by Laurent Dubreuil just a week before. Viktor Mushtakov finished in second with a Personal Record of 34.66. 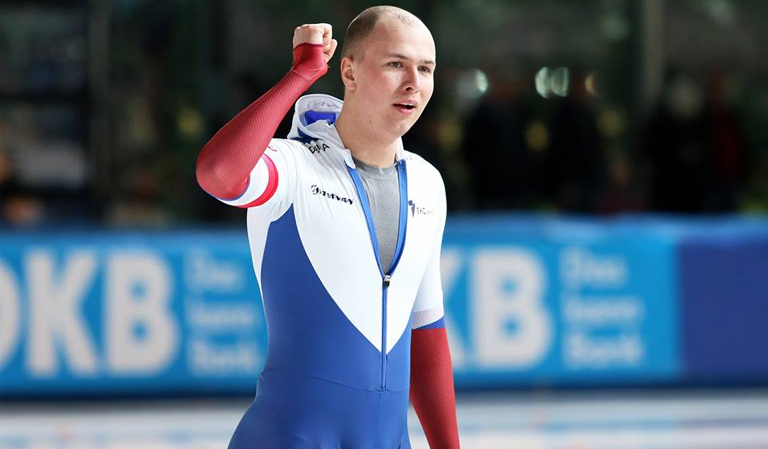 Rounding out the top-3 was 2014 Short track relay olympic champion Ruslan Zakharov, who finished in the bronze medal position of this long track championship with a time of 35.18. Daria Kachanova lead the way on the women's side, finishing atop the podium with her time of 38.23 seconds. Angelina Golikova was a close second with her time of 38.26, just ahead of Olga Fatkulina who finished in the third spot with her time of 38.35. In the 1000m, Pavel Kulizhnkov and Daria Kachanova were once again on top of the podium with their times of 1:08.66 and 1:17.09, respectively. On the men’s side it was Viktor Mushtakov who finished in the second-place position with his time of 1:09.16. Rounding out the top-3 on the men’s side was Denis Yuskov with his time of 1:09.52. On the women’s side it was Angelina Golikova who finished in the second spot with her time of 1:17.21, just ahead of Olga Fatkulina who finished with a time of 1:17.29. Denis Yuskov was atop the podium in the men’s 1500m with his time of 1:44.48, exactly two-seconds ahead of the second-place finisher. Sergey Trofimov finished in second with his time of 1:46.88, while Sergey Gryaztsov finished in third with his time of 1:47.48. On the women’s side it was Eveniya Lalenkova who emerged on top with her time of 1:58.44. She finished just ahead of Natalina Voronina who posted a time of 1:58.95. Rouding out the podium was Elizaveta Kezelina who finished with a time of 1:58.96. Natalia Voronina captured the 3000m title with her time of 4:05.57 nearly six-seconds ahead of the second-place finisher. Evgeniya Lalenkova finished in the silver medal position with her time 4:11.40, just ahead of Elena Sokhryakova who finished with a time of 4:11.89. In the 5000m it was once again Natalia Voronina who was on top, and she took home the title with her time of 7:03.17. Elena Sokhryakova was second with her time of 7:13.07, while Eveniya Lalenkova was third with her time 7:14.63. In the men’s 5000m it was Alexander Rumyantsev who took home the Russian title with his time of 6:20.46. Coming in second place was Sergey Trofimov who finished with a time of 6:23.25, ahead of Danila Semerikov who finished in third place with his time of 6:25.04. In the 10000m it was once again Alexander Rumyantsev who emerged on top with a time of 13:15.68 to claim the Russian title. Ruslan Zakharov finished in second with his time of 13:22.26, while Danila Semerikov finished in the bronze medal position with his time of 13:23.86. 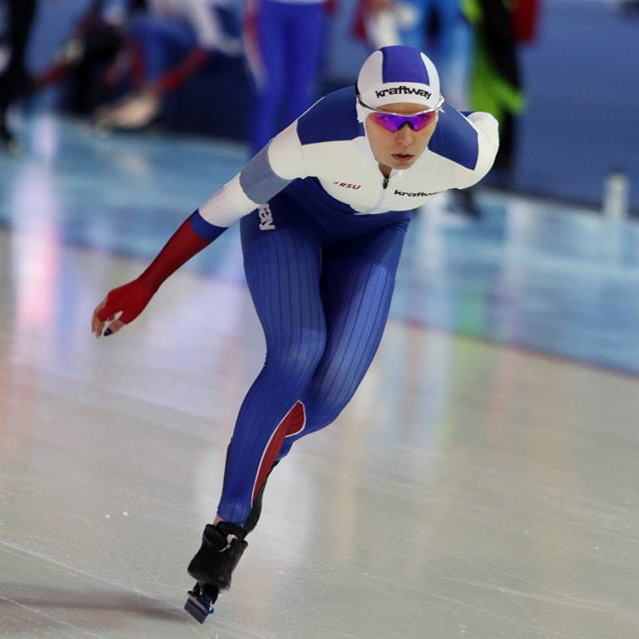 Elizaveta Kazelina was the mass start champion on the women’s side, where she finished with a time of 9:42.65. Kazelina finished just ahead of Veronika Suslova and Evgeniya Lalenkova who finished with times of 9:42.80 and 9:42.91, respectively. On the men’s side it was Denis Semerikov who was crowned mass start champion with his time of 7:44.20. He finished just ahead of Rusland Zakharov (7:44.34) and Timur Zakharov (7:44.50). In the team pursuit, Team Moscow won both the men’s and women’s events with times of 3:51.94 and 3:12.84, respectively. Les Championnats russes de distances individuelles ont eu lieu à Kolomna la fin de semaine dernière couronnant de nouveaux champions nationaux. L’Anneau de Kolomna était l’endroit parfait pour accueillir ces Championnats de distances individuelles alors que plusieurs patineurs ont obtenu de nouveaux records personnels et des records de saison au cours de la de fin semaine. Pavel Kulizhnikov a atteint la plus haute marche du podium du 500m avec un temps de 34.64. Son temps de cette fin de semaine est le plus rapide temps cette saison sur la distance - à égalité avec le temps de Laurent Dubreuil aux Championnats Canadiens. Viktor Mushtakov a pris la médaille d’argent avec un temps de 34.66. Le champion olympique au relais en courte piste des Jeux de Sotchi Ruslan Zakharov a fini avec un temps de 35.18 pour recevoir le médaille de bronze. Daria Kachanova a été victorieuse sur 500m du côté féminin complétant la distance en 38.23. Angelina Golikova a fini avec la médaille d’argent avec son temps de 38.26, juste devant Olga Fatkulina qui a terminé avec un temps de 38.35. 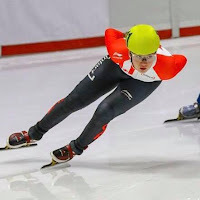 Pavel Kulizhnkov a gagné son deuxième titre avec son rapide temps de 1:08.66 sur 1000m. Viktor Mushtakov a enregistré un temps de 1:09.16 pour remporter la médaille d’argent. Denis Yuskov a complété le podium avec son temps de 1:09.52. Du côté féminin, Daria Kachanova a aussi remporté son deuxième titre de ce championnat avec son temps de 1:17.09. Angelina Golikova et Olga Fatkulina on complété le podium avec leurs temps de 1:17.21 et 1:17.29, respectivement. Denis Yuskow a remporté le titre masculin sur 1500m avec son temps de 1:44.48, deux secondes plus rapide que celui de son compatriote Sergey Trofimov qui a fini en 1:46.88. Sergey Gryaztsov a complété le podium avec un temps de 1:47.48. Du côté féminin c’est Eveniya Kachanova qui a remporté le titre de championne Russe sur 1500m avec son temps de 1:58.44. Natalina Voronina a fini avec un temps de 1:58.95 pour remporter la médaille d’argent. Elizaveta Kezelina a terminé troisième avec son temps de 1:58.96. Natalia Voroninaa été couronnée championne sur 3000m avec son temps de 4:05.57 – plus de six secondes plus rapide que sa compatriote Evgeniya Lalenkova (4:11.40). Elena Sokhryakova, a complété le podium avec son temps de 4:11.89. Sur 5000m c’est encore Natalia Voronina qui a surplombé le podium avec son temps de 7:03.17. Elena Sokhryakova a terminé en deuxième avec un temps de 7:13.07, et Evgeniya Lalenkova a complété le podium en 7:14.63. Chez les hommes, Alexander Rumyantsev a été couronné champion sur 5000m avec son temps de 6:20.46. Sergey Trofimov a fini deuxième avec un temps de 6:23.25, devant Danila Semerikov qui a complété le podium avec son temps de 6:25.04. Sur 10000m c’est encore Alexander Rumyantsev qui a fini en haut du podium avec son temps de 13:15.68. Ruslan Zakharov et Danila Semerikov termine 2e et 3e avec leurs temps respectifs de 13:22.26 et 13:23.86. Elizaveta Kazelina a été couronnée championne au départ groupé féminin en 9:42.65. Veronika Suslova et Evgeniya Lalenkova ont complété le podium avec leurs temps de 9:42.80 et 9:42.91. Denis Semerikov a remporté le départ groupé du côté des hommes avec son temps de 7:44.20. Ruslan Zakharov (7:44.34) et Timur Zakharov (7:44.50) on complété le podium. L’équipe de Moscou a remporté les titres nationaux de poursuite autant chez les femmes que chez les hommes avec leurs temps de 3:51.94 et de 3:12.84. 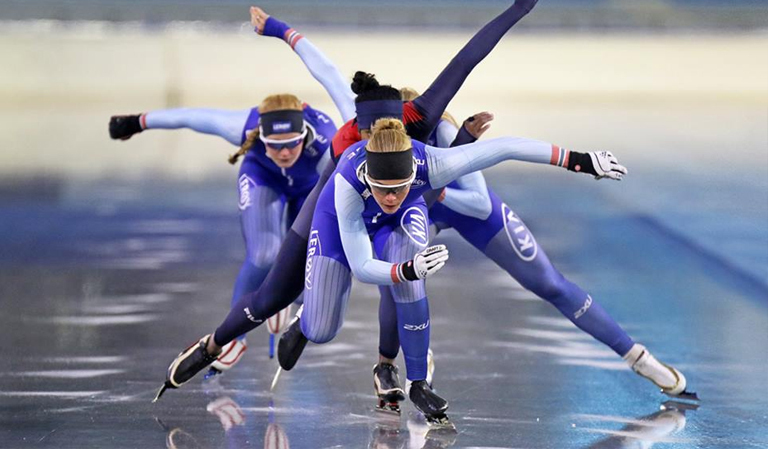 The ISU technical committee and its officials met over the summer to discuss changes to existing long track rules as well as to introduce some new ones. Here is a quick review of some of the new rules/changes coming into effect this season and beyond. *The new Four Continents Championships will be introduced during the 2019/2020 season, this will be an annual competition and will follow the same format as the European Championships – but will not include skaters from European nations. The maximum number of entries per country for this event will be the same as the number of entries for the World Championships. *The World Junior Championships and European Championships remain unchanged except the addition of a table that helps clarify the number of entries per country for each distance at the Junior World Championships. The majority of major changes were related to the mass start, with the ISU introducing a new point system as well as clarification to some existing rules. *There were changes to the point system for the mass start at both the junior and senior levels. At the senior level, the points for the intermediate sprints will now be 3-2-1, and the final sprint will now see points awarded to the top-6 skaters (60-40-20-10-6-3). At the junior level, there will now be two intermediate sprints, in laps 4 and 7, and the points awarded will be 3-2-1. The points awarded for the final sprint will now be as follows: 30-20-10-4-2-1. *Skaters who do not finish the race will be ranked according to the number of laps they competed – under the old rule this was not mandatory. Skaters who quit during the same lap are ranked according to last intermediate time. *The ISU made some changes to rule 253 – where the words “serious obstruction” were replaced with “unsportsmanlike behaviour”. This now allows referee’s to DQ a skater for this type of infraction. Additionally, the obstructed skater may be advanced at the sole discretion of the referee. The ISU also added rule 262 (allowance of a fresh start) to the list of rules that do not apply to mass start races. *The number of skaters competing in the Mass Start at the Junior World Championships has been increased from 28 to 30 skaters. *The ISU changed the word “collision” to “obstruction” in rule 257, which means that there no longer needs to be an actual collision for a DQ. Therefore, anything that a skater does to impede another skater from completing a smooth lane change can now be considered an “obstruction” and may result in a DQ. Le Comité technique de l’Union Internationale de patinage (ISU) et ses officiels se sont réunis durant l’été pour discuter des modifications à apporter aux règlements et discuter de l’ajout de nouvelles règles à mettre en vigueur en vue de la nouvelle saison et des suivantes. *Les nouveaux Championnats des Quatre Continents seront introduits lors de la saison 2019/2020. Ce sera une compétition annuelle qui suivra le même format que les Championnats européens - mais les patineurs européens seront exclus de cette compétition. Le nombre de compétiteurs par pays pour cette compétition sera le même qu’aux Championnats du monde. *Les Championnats du Monde Juniors et les Championnats Européens restent inchangés, à l'exception de l'ajout d'un tableau qui permet de préciser le nombre d'entrées par pays pour chaque distance aux Championnats du Monde Junior. *Le système de points pour le départ groupé a été modifié chez les juniors et chez les séniors. Au niveau sénior, les points pour les sprints intermédiaires seront 3-2-1 et le sprint final verra des points attribués aux 6 premiers patineurs (60-40-20-10-6-3). Au niveau junior, il y aura maintenant deux sprints intermédiaires, dans le quatrième tour et le septième – les points attribués seront 3-2-1. Les points attribués pour le sprint final seront maintenant 30-20-10-4-2-1. *Les patineurs qui ne terminent pas la course seront classés par le nombre de tours qu'ils auront complété. Selon l'ancienne règle, cela n'était pas obligatoire. Les patineurs qui abandonnent la course lors du même tour seront classés par leur dernier temps intermédiaire. *Il y a des changements au règlement 253. Les mots “obstruction sérieuse” ont été remplacés par “comportement antisportif”. Avec ce changement, les officiels auront un éventail de motifs plus large pour disqualifier (DQ) des patineurs fautifs. De plus, un patineur lésé peut être avancé en ronde suivante à la discrétion de l'officiel. *Le nombre de patineurs qui peuvent participer au départ groupé aux Championnats du monde juniors a été changé de 28 à 30 patineurs. *Le terme "collision” a été changé pour “obstruction” dans la règle 257. Il ne sera plus nécessaire qu'une collision ait lieu entre deux patineurs pour avoir une disqualification. manquer aucune nouvelle sur le patinage de vitesse. With the World Cup season approaching, here’s our list of five Canadian skaters you should watch in 2018-2019. A couple of weeks ago, we presented you a list of international skaters to watch this season and now here’s our list of 5 canadian skaters. Again, since this series' goal is to showcase skaters who could surprise, you won’t see names of established stars like Kim Boutin or Samuel Girard. Pascal Dion is now a no brainer when thinking about the men’s Canadian relay team. 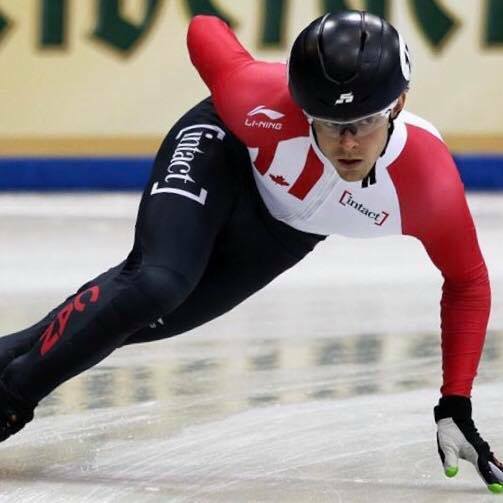 He participated in Canada’s bronze medal in Pyeongchang and Canada’s silver medal at the World Championships last season. It's on the individual level that you should keep an eye on Pascal Dion this season. 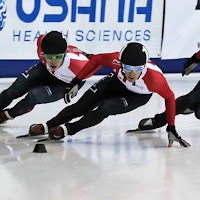 His performances at the Canadian championships were solid as he finished third overall and looked confident with his skating. Keep an eye on the Montréal native this season on the World Cup circuit. 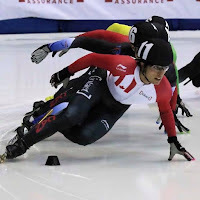 Steven Dubois has been known by the Canadian speed skating fans for quite a while now. Last year, he was impressive at the Olympic selections and was able to qualify to join the World Cup team. 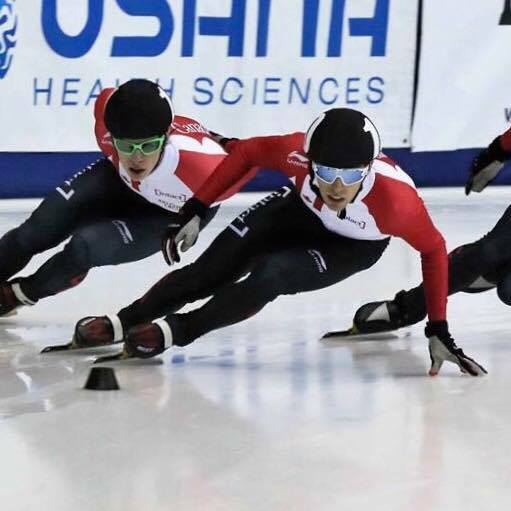 He had the chance to skate in one round of the relay competition at the second World Cup event where Canada ended on the highest step of the podium. He also got a glimpse of what it means to travel with the team. This season, he’ll be back on the World Cup circuit and might see more action in individual distances. It’ll be interesting to see the twenty-two-year-old skater evolve in the near future. After a great selection competition last month, Alyson Charles will take part in her first World Cup season. She already has international experience with a couple of World Junior Championships under her belt and a participation at the Shanghai Trophy last season. She was also an important part of the historic Canadian win in the relay event of last year’s World Junior Championships. With Marianne St-Gelais’s retirement and Valérie Maltais’s switch to long track, Charles could already play a big role on the team this season. 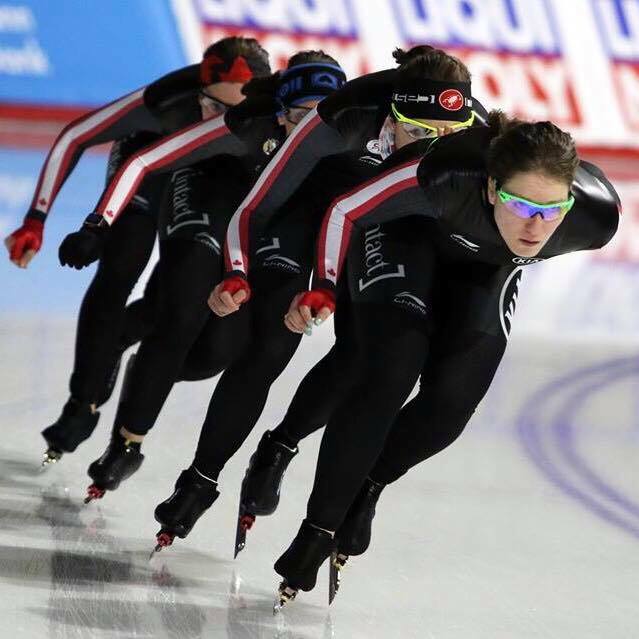 Named short track rising star of the year by Speed Skating Canada last season, Courtney Sarault will also be skating in her first World Cup season. Last year, she collected three medals at the World Junior championships and finished second overall. 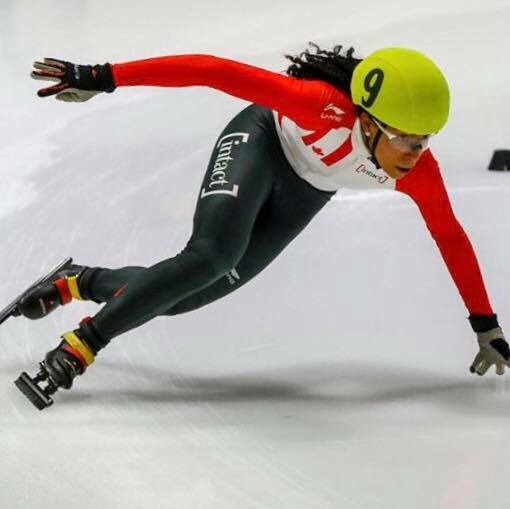 Her impressive third place at this year’s Canadian Championships will put her as one of the leaders of the women's team and it will be interesting to see the eitgheen-year-old skater perform against the best skaters in the world. Cedrik Blais offered solid performances at this year’s Canadian Championships finishing in fourth place overall with a win on a 500m event and a 1000m event. Already having participated in a World Cup, the Winter Universiade and the Shanghai Trophy, Blais already has a bit of international experience but he’ll probably get a ton this season. Keep an eye on him when the World Cup season starts next weekend. Which Canadian skater are you the most excited to watch compete this season?